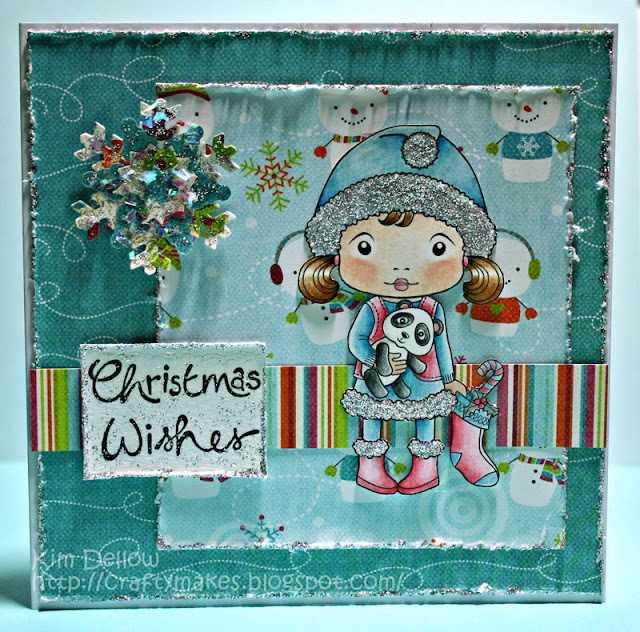 La-La Land Crafts Inspiration and Tutorial Blog: Icy Santa Marci Sends Her Christmas Wishes! Hello all, hope you all had a wonderful weekend. Where does the weekend go? It is Monday so I'm back and this week I have a little Icy Santa Marci for you today, she is very cute with her little Panda. Hope you like her, I've been a little free with the glitter, started putting it everywhere! Hope you all have a stunning week. This is so, so cute! I can't wait to get my stamps! beautiful Kim!!! 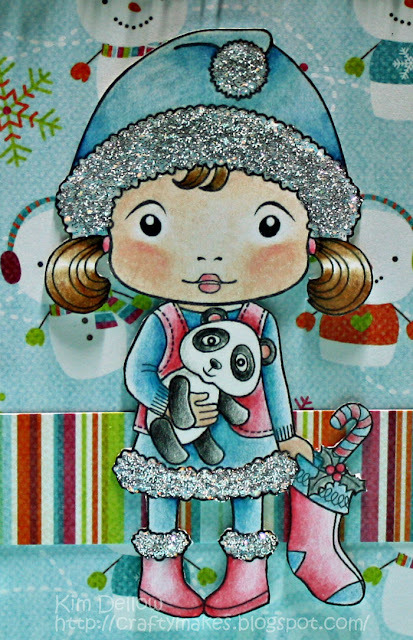 Love your coloring and her sparkly fluff is fabulous! !